I have a bit more going on than I have time to explain in a post right now, but I did want to let anyone visiting my blog know that i'm working on a huge update & website right now. Who am I? 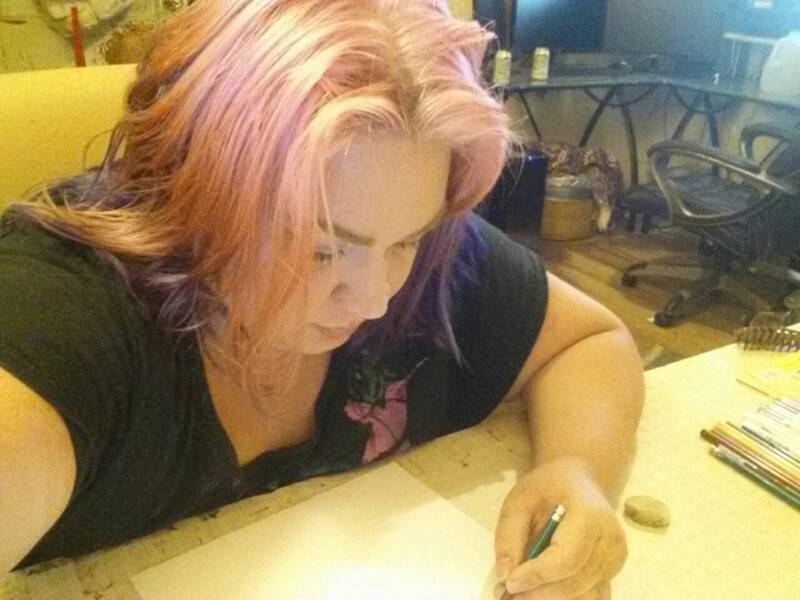 I'm a visual artist who transitioned from traditional physical art into digital art. I draw, paint, sculpt, design. I have more than 20 years of professional art making experience. I am always learning, creating exploring and making. I have my own 'personal' art, and IPs. However, as a freelancer my focus is on Concept work, and illustration. I like to work with smart, forward thinking people. I create art & ideas for people who need it. I also write and design knitting and crochet patterns, and have a small business selling those. My focus with those is costumes and toys. I am finishing up a degree in International Languages, and most likely will be going for my Masters soon in Instructional Design, or maybe media design or illustration. Important to note about this, I started out in Multi Media Design, but wasn't happy with the program where I was at, so I decided to switch majors into something that compliments my personal interests- that being language, culture, anthropology, mythology, et. I see them as all a part of a whole. I'll write more about my background and journey as an artist later, but I hope for now that's enough for anyone interested. Please feel free to contact me if you'd like to know more or work with me. I am currently a freelancer, and am also available for hire under contract for specific projects.